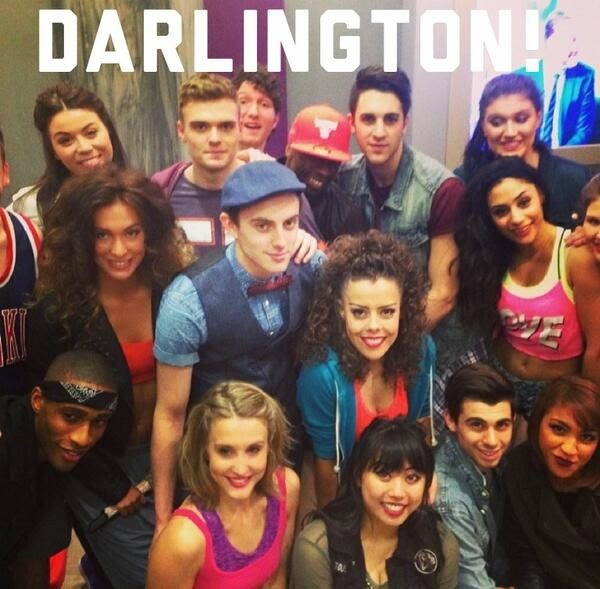 Darlington Civic Theatre 14th June 2014. If the Alan Parker film was dark and sometimes disturbing, Bill Kenwright’s 25thanniversary production is a brightly shining star glittering away. 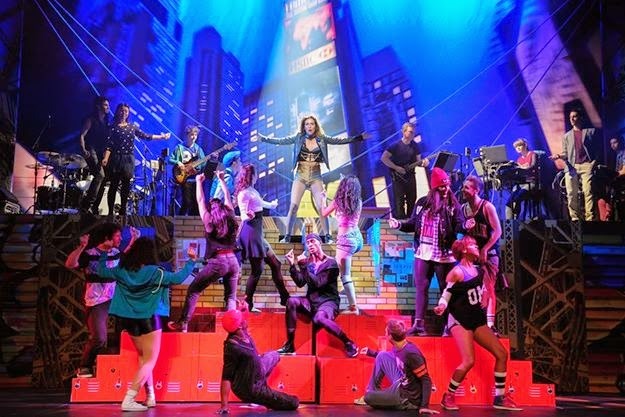 The show opens with the auditions and the opening number Pray I Make which quickly shows how the show has been updated for 2014 as the leg warmers have been replaced with mobile phones. One link with the original however is the clear stereotyping of the teachers. 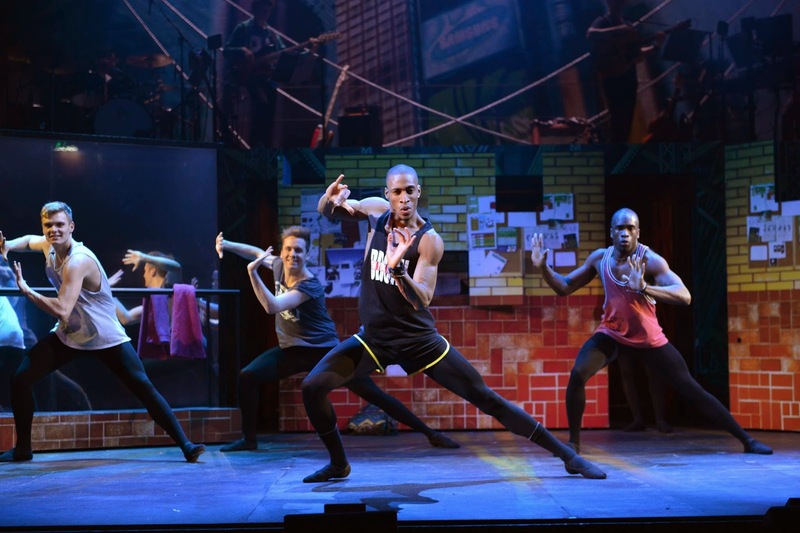 When they are introduced, Hermione Lynch as the driven dance teacher, Landi Oshinowo as the harsh English teacher, David Haydn as the emotionally connected drama teacher and John Canmore as the eccentric music teacher, they repeat the mantra of sweat and hard work. 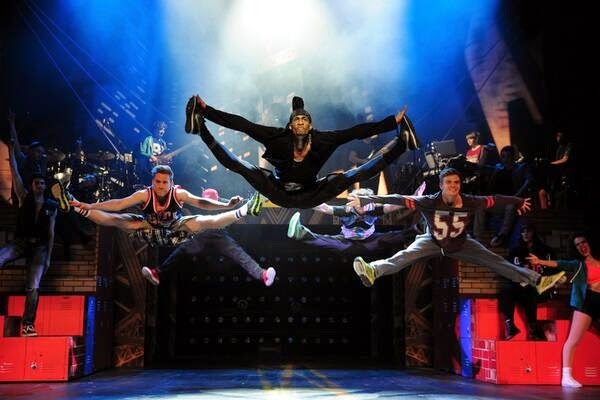 Not a massive amount of characterisation is given and the storyline is simplified for the theatre version. “Nothing can kill a show like too much exposition” as it was once said and the action here is never slowed down for too much back story about any of the characters. Alex Jordan-Mills plays child star Nick Piazza, who obviously had pushy parents and wants to take very seriously. 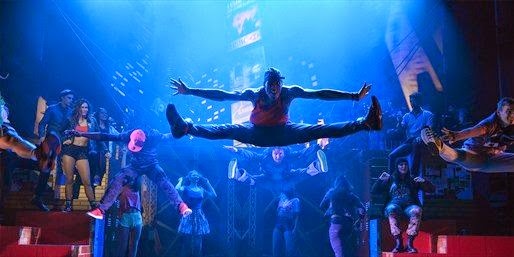 Omari Bernard’s Tyrone Jackson and Micha Richardson’s Carmen Diaz are from the rough part of town and have had a hard upbringing but we’re given no further details. Having said that, the audience were sufficiently engaged to start booing when Nick ripped up the copy of his head shot that Serena had kept of him. 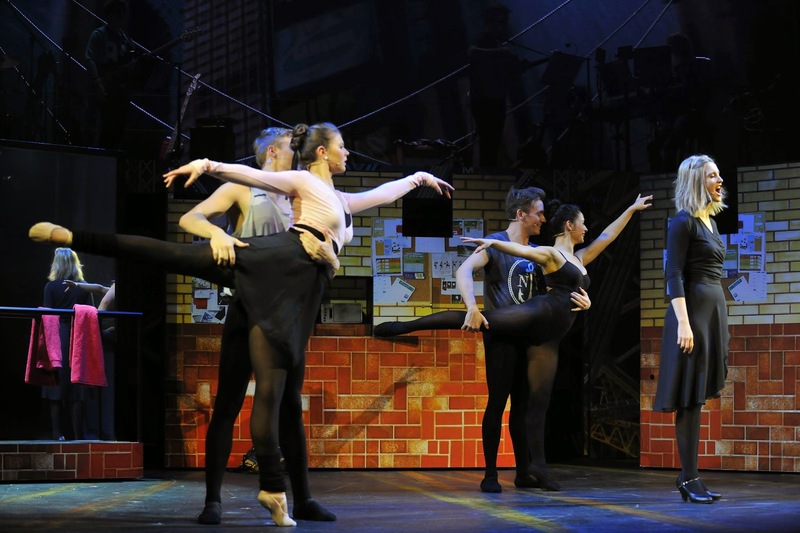 Under Gary Lloyd’s direction and choreography the pace of the show never slows and the cast work hard as they seem to effortlessly fling each other around in tight dance routines. The band, under the musical supervision of Tom De Keyser, remains on stage for the entire set which helps keep the energy levels high. David De Silva, one of the shows original producers, has conceived a new story that moves on from the film and the tv series with a fresh book from Jose Fernandez and, crucially new music by Steve Margoshes and lyrics by Jacques Levy. A sensible decision is to concentrate on the new music and leave the Dean Pitchford and Michael Gore title track mainly for a major grand finale. The musical numbers support the story well. Sarah Harlington sings Serena Katz’s Let’s Play a Love Scene well and is the musical highlight of the first half. The second act gives Molly Stewart a chance to show off her excellent set of pipes as she nails the gospel-styled number Mabel’s Prayer. Landi Oshinowo has a fabulous voice and puts it to good use during These Are My Children. Theatre can be fun and bubbly and this is a show to bring your friends along for a cracking night out.